After acquiring Yahoo for nearly five billion dollars, Verizon’s plan is slowly coming into focus. During an earnings call today, the telecom giant — that just got giant-er — wants to create a juggernaut that can directly compete with the likes of Google and Facebook in the mobile video space. It’s easy to write off Verizon’s plan. It did, after all, just acquire another company that was once at the forefront of our collective consciousness before falling into relative obscurity, but that’s not to say it doesn’t add value. The once-great icon of the dot com era is an unknown to many younger millennials in a brand sense. Yahoo, as a brand, means nothing to them — nor does AOL. They do, however, interact with a lot of Yahoo-owned properties, like Tumblr, Flickr, and others. While they may never visit the homepage, millennials are using Yahoo to manage their fantasy sports leagues, consume and create new content and above all else: provide valuable impressions for advertisers while remaining blissfully unaware of Yahoo’s roots as a search engine. Aol is a similar value-added proposition. While not on the tip of our tongues anymore (or on younger millennials’ radar), it is insanely profitable, and even has around 2.2 million dial-up internet users (that haven’t quite grasped the idea of broadband) feeding its monthly coffers. The company has bet big in recent years on video and mobile advertising through acquisitions like ROYT, Millennial Media, Adap.tv, Vidible and a handful of others. 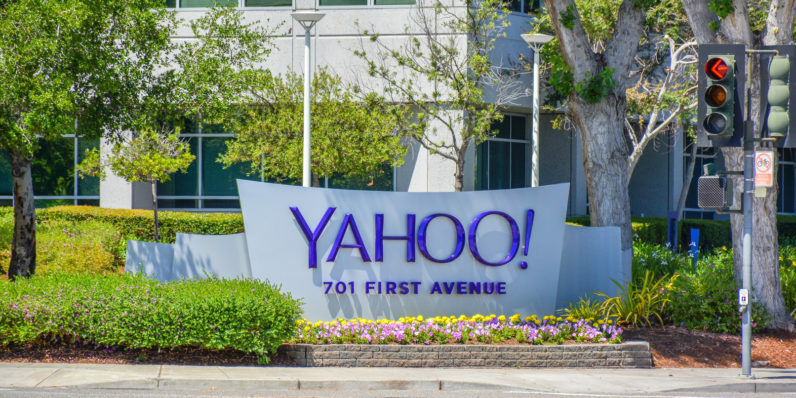 With Aol’s portfolio of advertising and video acquisitions, and impressions delivered from Yahoo properties, the vision actually starts to look like a real possibility. Of course, nothing is a given online. While Yahoo could prove to be a big win if Verizon is able to turn it into another Aol-esque redemption story, even a big winner doesn’t mean it’ll ever be on a competitive level with Google or Facebook. If it’s Google/Facebook or bust, I wouldn’t hold my breath. But that’s not to say Verizon isn’t on its way to a large and insanely profitable mobile video empire.